Torrance (California) (November 28, 2018) – Cineplexx International GmbH opened a second and third MX4D Theatre in under two months, this time in Serbia. Upcoming releases in MX4D, at select theaters, include: Universal and Peter Jackson’s “Mortal Engines,” Sony’s “Spider-Man: Into the Spider-Verse,” Disney’s”Mary Poppins Returns,” Paramount’s “Bumblebee,” and Warner Brothers’ “Aquaman.” In addition to these Hollywood blockbusters, MX4D programs select regional and national releases in native languages. Consult the Cineplexx website for showtimes. For 27 years, MediaMation, Inc. has provided innovative technological solutions to the Cinema and Themed Entertainment market and expanded to the esports industry in 2017. 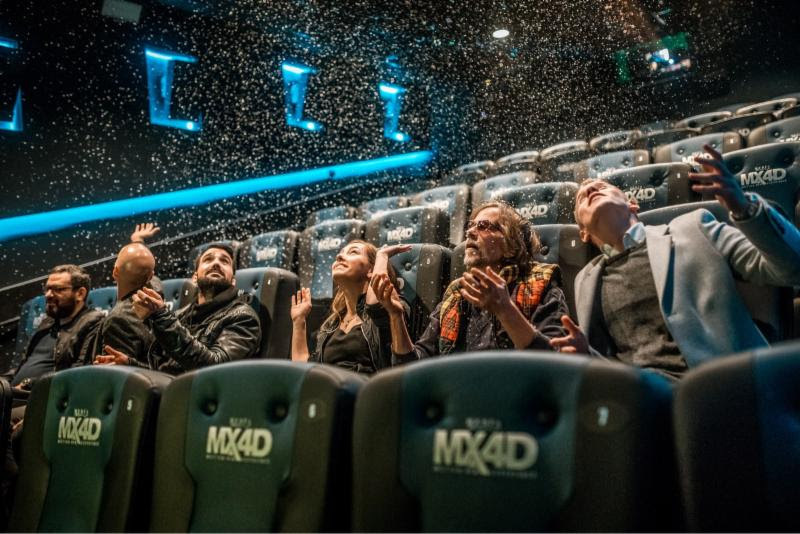 MediaMation is an interactive technology company and a worldwide, leading supplier and manufacturer of patented technology for 4D Motion EFX theaters and seats, including its MX4D Motion EFX technology, with over 300 installations worldwide. MediaMation also designs and implements turnkey creative solutions for complex shows, rides, exhibits, fountain shows, etc. for theme parks, zoos, aquariums, museums, cinemas and FECs. For more information, visit www.MX-4D.com or follow @MediaMationMX4D on Twitter or MediaMation, Inc. on LinkedIn. For press inquiries, contact Brian Szaks, MediaMation,Inc.